An interesting development in the business world has been the trend of middle-aged, middle-management executives making mid-career corrections and investing in a franchise business. Some make these investments out of necessity (having been downsized); others invest proactively (as a hedge against being downsized). The common denominator is that these business executives have come to the conclusion that they would rather follow an owner/operator business model than stick with the traditional paid worker/manager model. Another interesting trend is the level of business acumen many of these new franchisees bring to their respective investments. Franchisors used to sell a franchise to just about anyone that could write the check, providing them with some training and guidance, and wished them well. Franchisors these days approach a potential franchisee as a business investment, with all of the associated long-term gain. A candidate’s business background, experience and passion are as much a consideration as being able to write a check (although at some point, every potential franchisee needs to have a serious internal review of their financial situation). What is behind this growing trend? Is the answer as simple as older executives having accumulated enough savings to invest in a franchise? Or have we finally reached a place in our society where well educated, middle-aged executives have come to realize that you do not always have to work for one company, get a pension and retire to be happy. That model may have worked for your parents, but in today’s ever-evolving, techno-centric, capital-driven world where you’re only worth as much as the next wonder-kid coming out of school; well-educated, experienced business executives are realizing that it’s OK to take control of their lives and their livelihood. More to the point, a large majority of new franchisees are seeking to build their own business while hedging their investment by using a proven business model often found in the franchising model. Available data appears to back up this new trend; in a recent survey, about 50 percent of Australian men aged between 30 and 45 are considering a career change; and a full 23 percent would like to run their own business. Another recent report observed that older Americans are becoming a faster-growing segment of those buying franchises. The percentage of people 55 and over, and are franchise owners, has risen from 20 percent in 2007 to 28 percent—a 40 percent increase, according to Franchise Business Review. Is franchising a natural stage of development for some corporate refugees? Perhaps. But more importantly, is it right for you? Knowledge is power, and educating yourself during the franchising process is probably the most important investment you make for yourself. As a franchise coach and author of the bestselling book, The Educated Franchisee, I often coach people regarding what questions to ask. 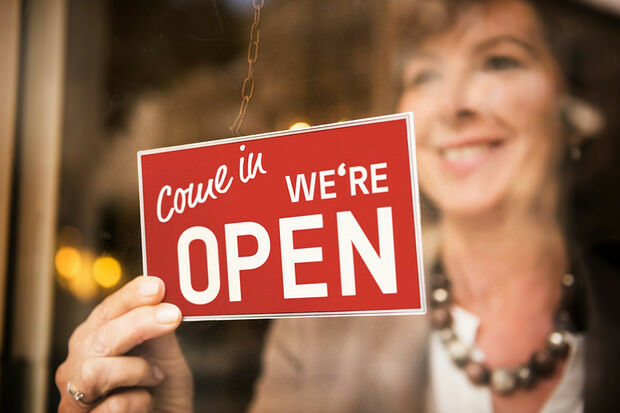 There are numerous variables to consider when looking for a franchise business – but a good place to start is by asking: is franchising right for me? Working with a franchise coach and/or consultant can help identify your strengths and weaknesses and guide you towards a good fit, both financially and philosophically that will meet most of your long-term goals. Experienced executives have accumulated an incredible wealth of real-life experience and many of those skill sets transfer perfectly into business ownership. Sometimes a mid-life adjustment is just what the doctor ordered – it’s also a good way to tackle life’s unexpected hurdles head-on.